My last update was in February. Yesterday it was announced that GoalControl GmbH has won the right to supply Goal-Line Technology at the 2013 Confederations Cup. The company will supply their technology to the World Cup in Brazil 2014, subject to its successful use in 2013. GoalControl uses fourteen high-speed cameras (seven for each goal) around the pitch. The use of GoalControl-4D is subject to a final installation test at each stadium and will be conducted by an independent test institute. 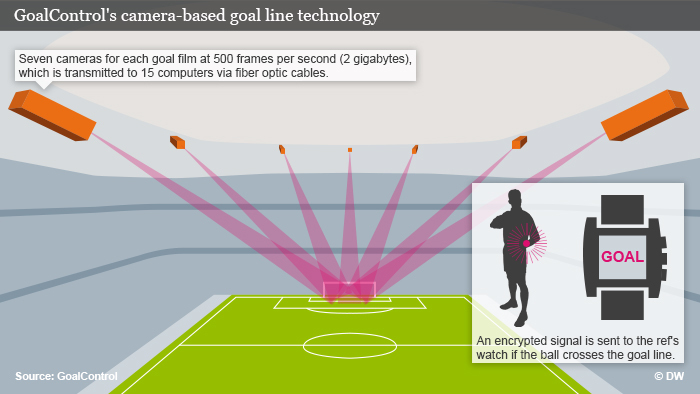 Additional information about goal-line technologies.